Saxson Global Services represent Pipex Italia, a leading European supplier of Seamless Pipes. Our principals export pipes produced by our mill Zeleziarne Podbrezova (ZP), located in central Europe. The mill has strong technical capabilities and produces a quality product for various applications as per international specifications. Seamless pipes from ZP are currently exported to Europe, SE Asia and the Far East - S. Korea being one of the largest markets. The mill also produces steel buttwelding fittings and reducers. 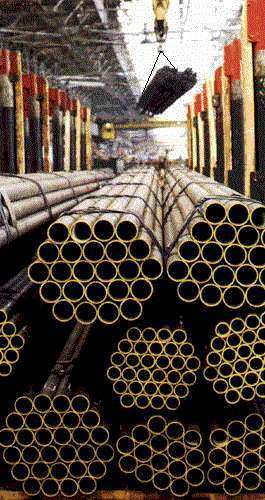 We would be happy to offer you tubes as per your specific requirements for Piping Systems or other applications. Kindly email us sales@saxsonglobal.com your typical requirements for which we could provide you with our offer or submit your detailed inquiry.